YES! There will be prizes! BIG prizes and a BIG thank-you to my DearREADERs for following me to the new Google+ Hangout on Air platform. 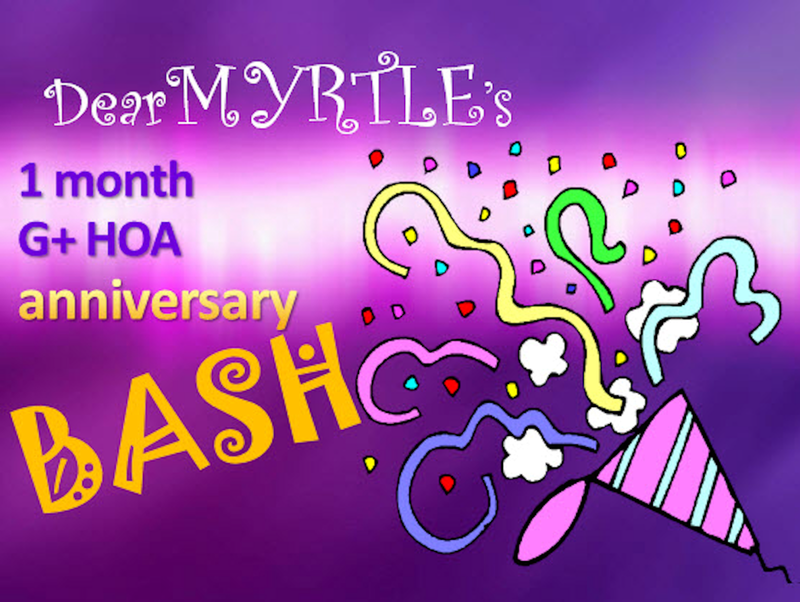 Newbies are also welcome to help Ol' Myrt here celebrate one month in this new environment. WHAT are DearMYRTLE Google+ Hangouts on Air? Recorded conversations about anything genealogical. WHEN is the party? Monday, 8 April 2013. Be sure to click the "feed" button. You must comment to win. GRAND PRIZE Kindle Fire HD 7", Dolby Audio, Dual-Band Wi-Fi, 16 GB $199 value. Prizes shipped via to valid US addresses, not PO boxes, by Amazon.com or Pat Richley-Erickson, though some products are downloadable. You must attend the live Hangout on Air (HOA) to be eligible to win a prize. Mastering Genealogical Proof has shipped! Did you spot the new Facebook padlock option? FamilySearch: Cite your sources, please!